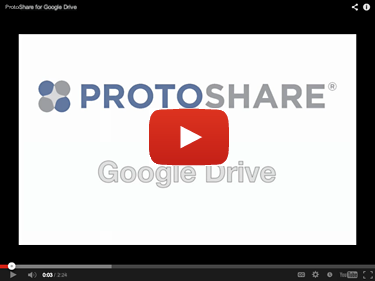 What is ProtoShare for Google Drive? ProtoShare for Google Drive puts you in control of your design ideas while making interactive mockups fast, easy, and compelling. Easily share your mockups with others to experience real time collaboration with versioning history. The stencils and widgets library provides hundreds of options and is great for mobile development. Use ProtoShare's iOS, Android and Windows phone stencils and interactive states to create powerful mobile prototypes. To get started with ProtoShare for Google Drive click on Create > ProtoShare Design. Then add elements and components to your mockup, click Save Changes > Save As, name the design, and save. The ProtoShare design will show up in Google Drive as an HTML file where you can download, share and email the file to others. ProtoShare for Google Drive is now 100% free!